Hi all! After a busy few weeks, I’ve now completed my uni deadline and I have a little bit of time off. I’m using the time to catch up with family/friends and work on this blog! Has anyone noticed the brand new headers? I also have a big surprise coming soon that I’m working on now and very excited for. Today’s book is from a series I absolutely love and I’m really looking forward to the third and final book! I wanted to share this one as the third book now has a cover (pictured above!) – isn’t it beautiful? Anyway, the quote comes from the second book in the series, Legendary. 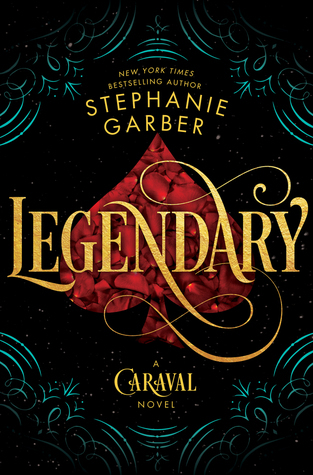 I absolutely adored Caraval and although I enjoyed Legendary too, it didn’t capture my heart quite as much. For that reason I’m really looking forward to seeing how much I love Finale!